Partnering with Outlier Media and Bridge Magazine, Chalkbeat turned a reporting project into a way to amplify their community’s lived experience. 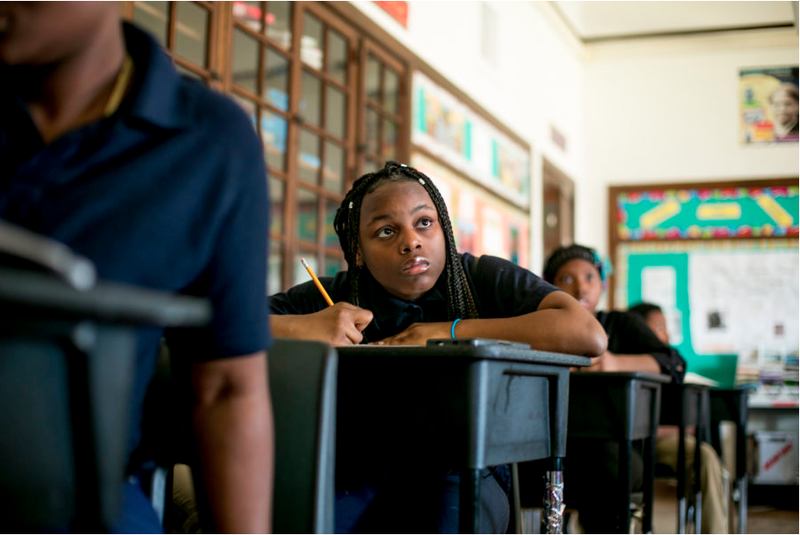 When Erin Einhorn and her tiny team at Chalkbeat, a non-profit covering K-12 education, partnered with Bridge Magazine on an investigation into the city’s public schools, their reporting revealed that one in three Detroit elementary students switched schools every year. 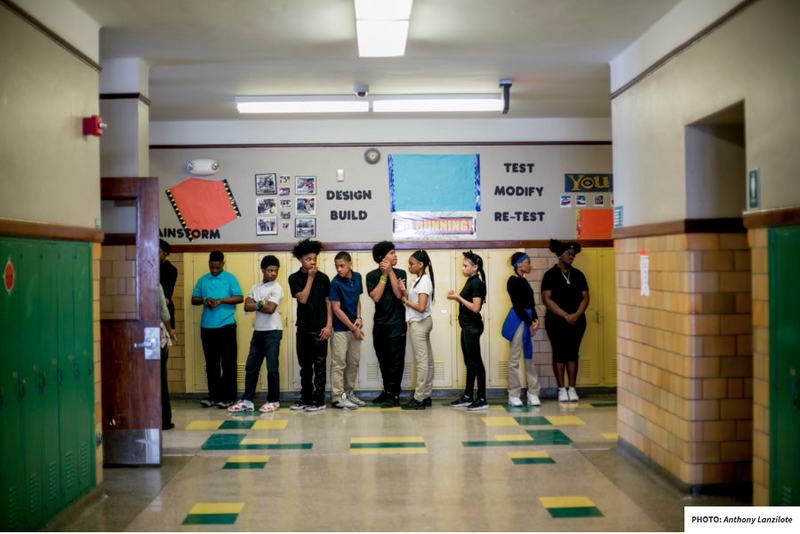 The high transfer rate left teachers struggling with the disruption, and test scores fell. No one knew why so many students were switching schools, and then switching again. Einhorn, Chalkbeat Detroit’s bureau chief, decided to find out. “When we started this project there was already solid research about the impact of school transience and how it affected kids and classrooms in general,” she said. 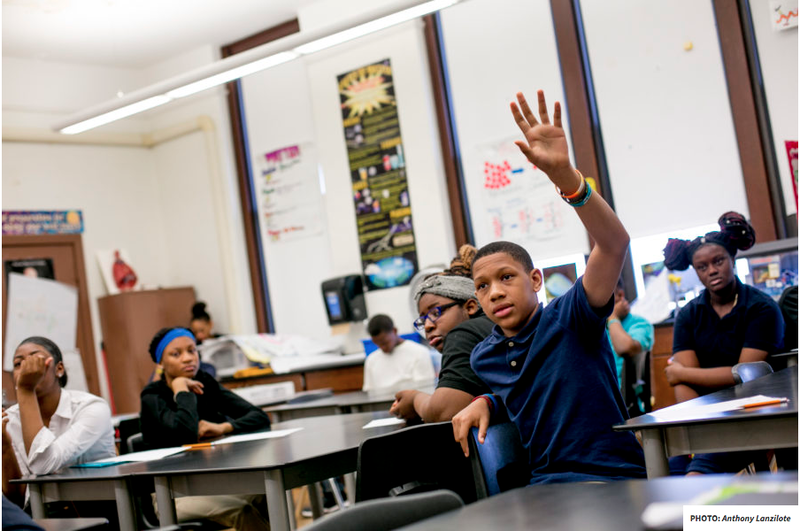 But two things were missing: the classroom-level details that described the impact in a narrative way, and why so many Detroit families were making the choice to switch schools, often not once, but multiple times. First, Einhorn took a traditional journalistic approach, selecting one classroom at a specific school. She and Bridge Magazine’s Chastity Pratt Dawsey spent many hours in the classroom, learning the stories of each student and their family to build a compelling narrative. 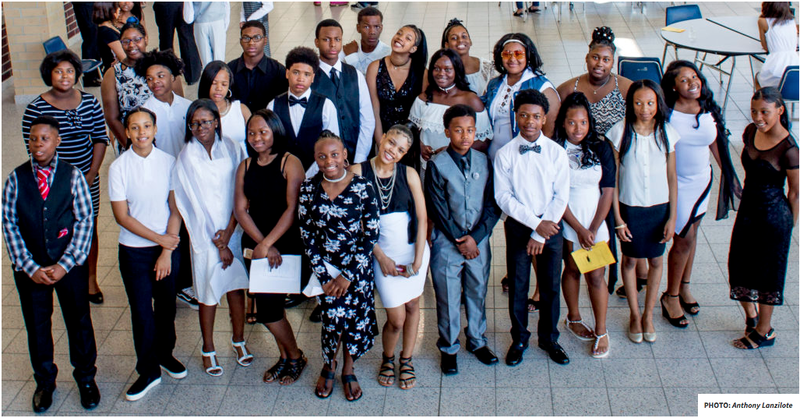 The 31 eighth-graders in the class they focused on had collectively attended a total of 128 schools — an average of more than four schools each. But after several months, Einhorn realized that this was just part of the story, on its own not be sufficient to answer the questions she’d set out to address. “Part of it was the nature of the process,” she said. On the one hand, getting to know one classroom can be helpful. But parents who know their names and their kids’ names are going to be published might be reluctant to disclose information that might reflect negatively on them, or expose their children to ridicule. “If the reason I changed schools is that my kid was expelled, I wouldn’t necessarily reveal that,” Einhorn said. Eventually Einhorn found her way to GroundSource, an SMS-based texting platform that enables news outlets to connect directly with people on their phones (full disclosure: I’m chief storyteller for GroundSource and am writing this piece on their behalf). She’d heard about it from Sarah Alvarez, a journalist-entrepreneur who had a desk at the same co-working space as Chalkbeat, and whose reporting approach at Outlier Media was built on GroundSource. At Outlier, Alvarez buys giant bundles of Detroit cell phone numbers from marketing companies and then blind-texts them, offering recipients information on the status of the properties where they live. If they want to know whether landlord owes back taxes or their building is due for an inspection, all they have to do is text their address back to Alvarez, who responds with the information. Outlier’s model is built on filling information gaps in the community, which was different from what Einhorn was looking for. But Alvarez was intrigued by the Chalkbeat project, and agreed to develop a GroundSource-based parent survey. Using a list of Detroit phone numbers purchased from a marketing agency and divided among all city zip codes, Alvarez sent more than 32,000 texts. She received about 1,000 responses and from those culled a group of 100 parents of students attending Detroit public schools to participate in the survey. Alvarez, said she “dusted off” the survey design skills she learned while earning a dual degree in law and public health, “so we could ask questions in a way that don’t lead people to certain conclusions.” She then had the questions vetted by a couple of social scientists to confirm that the approach was solid. The survey was designed to take no more than five minutes to complete. In total, she created 53 questions, though no respondent saw more than ten. “We tried to strike a balance between getting enough information and not eroding our sources’ trust by asking for too much information over the intimate medium of SMS,” Alzarez said. Those who completed all ten questions received a texted $10 Amazon gift card as a thank you. The survey, conducted over a three-week period in May and June of 2018, focused on on the oldest child in each household, asking how many times the child had switched schools outside of normal graduations. “We then asked what type of school they switched from and to and why the switch was made,” Alvarez said. “We also asked parents if they thought switching schools had helped or hurt the ability of their child to succeed in school and what they looked for when choosing a new school.” The questions each person saw depended on their answers to the previous questions. Detroit’s municipal bankruptcy filing five years ago was the largest in U.S. history, and its ongoing economic challenges are well documented, including one of the highest rates of poverty in the country, poor housing stock and a high rate of housing instability. At the start of the project, Einhorn said, nearly everyone she talked to thought most parents would cite a direct cause-and-effect relationship between at least one of those factors and the frequency of switching schools. The project “got a lot of attention from city and state leaders,” Einhorn said, including the leading candidates in the November gubernatorial race, both of whom pledged to take a closer look at the challenges facing Detroit families with school-age children, including putting more funding toward busing. One piece in the project laid out five recommendations that could help relieve the school switching problem. And once the project was published, all of the participating families received a text with a link to the piece and an invitation to a forum focused on the findings. Sara Catania is the chief storyteller for GroundSource. This content was first featured in GroundSource’s weekly newsletter on listening and community engagement. It features successful community engagement efforts, highlights missed opportunities for listening, and offers strategies that help you engage and listen to your community. You can subscribe to GroundSourced here. Thoughts & lessons on building inclusive, authentic community engagement through mobile messaging.